The Green Card is the most commonly used term in describing the Alien Registration Card. 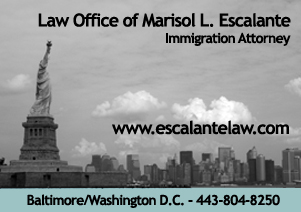 The main function of the green card is to identify the carrier as a permanent resident of the United States. This means you are required to make the US your primary home. The benefits of having a green card can be simplified into two main ideas; having a green card allows you to freely travel in and out of the US and gives you the right to work wherever you like in the US. It is important to remember that while you are able to freely travel, your permanent home must be the US or you risk losing your card. A green card also expires every ten years which will require you to renew it. A lot of questions regarding quotas or limited numbers of green cards available eventually turn into the question: How long must I wait for a green card? There are some instances where there are no wait times, but there may be a cap on the total amount of green cards allocated each year. An example is employment based categories which includes investors and Special Immigrants. This group is limited to 140,000 worldwide. There are other caps like in the family categories where approximately 480,000 green cards can be issued worldwide, with a 7% cap (on the 480k) maximum per country. The intention here is that no one country can be allocated more than 7% of the entire year’s green card pool. Finally, there is always the lottery where 50,000 extra green cards are awarded each year through ethnic diversity or lottery category. This 50k extra green cards is above and beyond the worldwide totals mentioned above. Some of the most common sought after services relating to green cards are renewing your green card, applying for the green card lottery, replacing lost or stolen green cards, applying for a family based green card, applying for a green card through marriage, for a relative or through employment. We will update you on each of these individual cases in future posts.